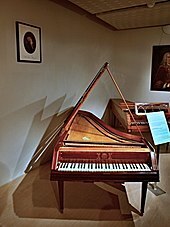 ^ "Czech Museum of Music to display "Mozart" piano". Radio Praha. 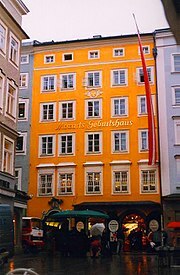 2007-01-31. Retrieved 14 December 2018. 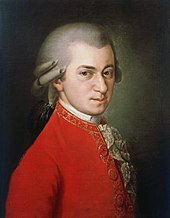 ^ "Discovered, new Mozart portrait that shows musician without his wig". The Telegraph. 2013-01-11. Retrieved 7 May 2018. March, Ivan; Greenfield, Edward; Layton, Robert (2005). 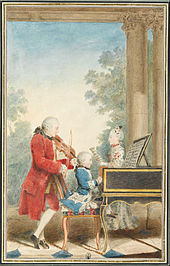 Czajkowski, Paul, ed. Penguin Guide to Compact Discs And DVDs, 2005–2006 (30th ed.). London: Penguin. ISBN 978-0-14-102262-8. OCLC 416204627. 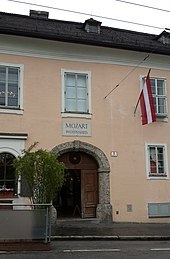 Mozart, Wolfgang; Mozart, Leopold (1966). Anderson, Emily, ed. 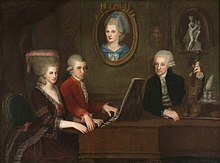 The Letters of Mozart and his Family (2nd ed.). London: Macmillan. ISBN 978-0-393-02248-3. OCLC 594813. 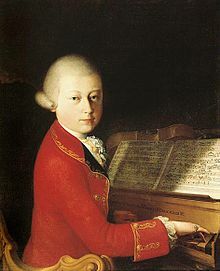 Mozart, Wolfgang (1972). 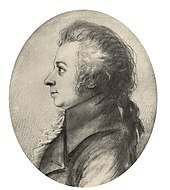 Mersmann, Hans, ed. 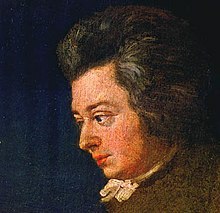 Letters of Wolfgang Amadeus Mozart. New York: Dover Publications. ISBN 978-0-486-22859-4. OCLC 753483.